The South African Breweries (SAB) has committed to creating increasing opportunities for entrepreneurs to become part of its supply chain through its key entrepreneurship programmes. From rural entrepreneurs to big business, SAB has laid the foundation to support entrepreneurs and create a total of 10 000 jobs in South Africa by 2021 using its entrepreneurship programmes – SAB KickStart, SAB Foundation, SAB Thrive and SAB Accelerator, as well as its agriculture programmes to grow emerging farmers. The company offers a comprehensive and holistic package of entrepreneurship support to develop small businesses from ideation to growth, transforming the supply chain, as well as investing in the potential of entrepreneurs in the broader community. Applicants to the programmes will go through a selection process. Ricardo Tadeu, Zone President for AB InBev Africa and SAB, says: “We are committed to making a substantial contribution towards South Africa’s national agenda of growing the economy through creating jobs and reducing unemployment, particularly amongst our youth. As a business that started out as an entrepreneur itself, we strongly believe that entrepreneurship is the most appropriate response to this issue and will help to galvanise the economy. “We recognise that job creation is top of mind amongst South Africans. As one of the country’s leading corporates with a deep sense of pride, and a belief in the future of our country, we have not only a responsibility to help, but a duty to improve the lives of people in communities. We will do this through a range of initiatives, including providing real, authentic and sustainable jobs that we can measure going forward,” says Tadeu. The commitment to create 10 000 jobs is over and above the Public Interest Commitments (PIC) that SAB’s agreed last year with government after the business combination between AB InBev and SABMiller. Job creation is embedded in the company’s business strategy which focuses on fostering a better world where everyone has an opportunity to improve their livelihoods. The three key priorities of this strategy are job creation; promoting nutrition and health; and reducing harm caused by the misuse of alcohol. “This is an important vote of confidence in South Africa and a commitment to improve the lives of its people, as well as to invest and participate in expanding the country’s economy,” says Tadeu. Business Unity South Africa (BUSA) CEO Tanya Cohen says BUSA congratulates SAB on this welcome initiative. “Systemically supporting entrepreneurship opportunities within SAB’s supply chain will make a meaningful contribution to enterprise development and job creation – both of which are critical to transformation for inclusive economic growth,” she says. Deputy President, Cyril Ramaphosa, in a message, commended SAB’s efforts in bring change to communities. “Your commitment as a corporate citizen to job creation, the empowerment of people and reduction of harm. Business and government can work together to create the better life that we seek to secure for all South Africans. In the face of poverty, unemployment and inequality, your ambition to create 10 000 sustainable jobs is an important investment in our economy and society. Edith Vries, Director General for the National Department of Small Business thanked SAB for the role it is playing in supporting entrepreneurs. “Small businesses are at the heart of economies that grow. Our young people need the experience and they need someone to give them an opportunity. I want to thank and salute SAB for providing that opportunity and helping them with that first step. Barbara Creecy, Gauteng MEC for Finance, acknowledged SAB’s contribution to developing entrepreneurship and creating jobs in the province. “We recognise the role that SAB is playing in the economic development of the Gauteng province. 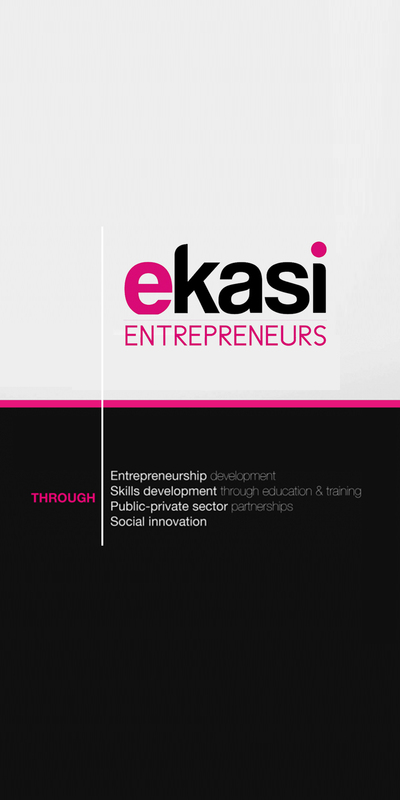 The organisation’s entrepreneurship programmes are contributing to entrepreneurship development in the province. It is exciting to participate in launching an initiative that integrates all of these programmes across the value chain. Driving the ambition to create 10 000 jobs is a call to action to all entrepreneurs through a mass media Entrepreneurship Campaign, beginning with a television commercial launched this past weekend. The commercial centres on the concept of how ‘One Idea’ can ignite and spark a nation to heed the call to try its hand at entrepreneurship in order to build a better South Africa for all. “We believe in the power of one idea which is sparked within each entrepreneur and we are committed to supporting these businesses and the potential they hold to bring positive change in people’s lives. We back entrepreneurs 100%,” says Doreen Kosi, Vice President of Legal and Corporate Affairs at AB InBev Africa and SAB. SAB also hopes in the future to call to action other corporates in South Africa to expand opportunities for real job creation. 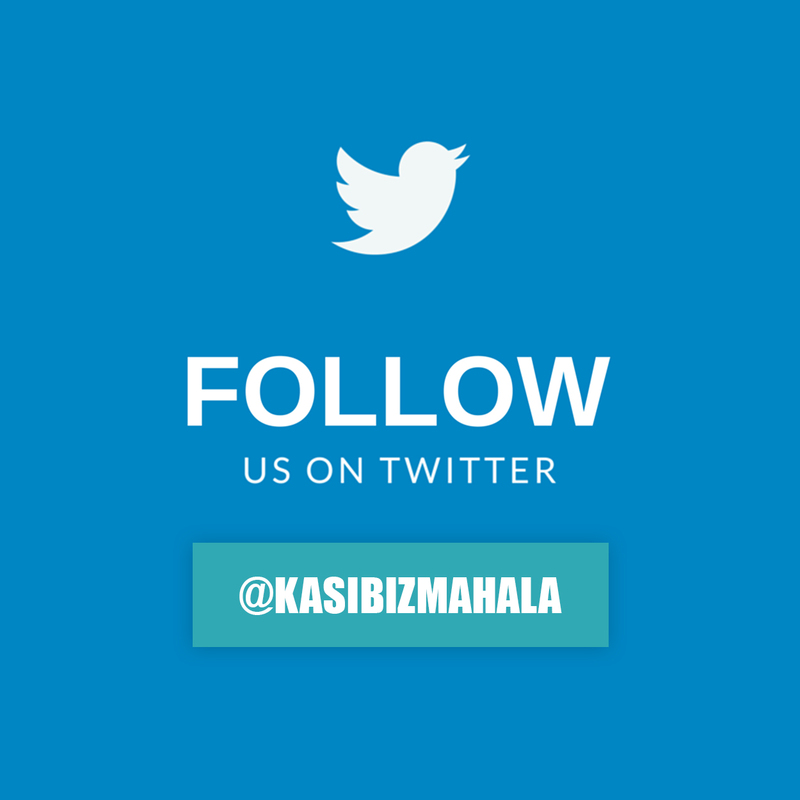 ‘We hope that our campaign and efforts in the entrepreneurship space will inspire others to support the creation of more jobs in South Africa,” says Kosi. 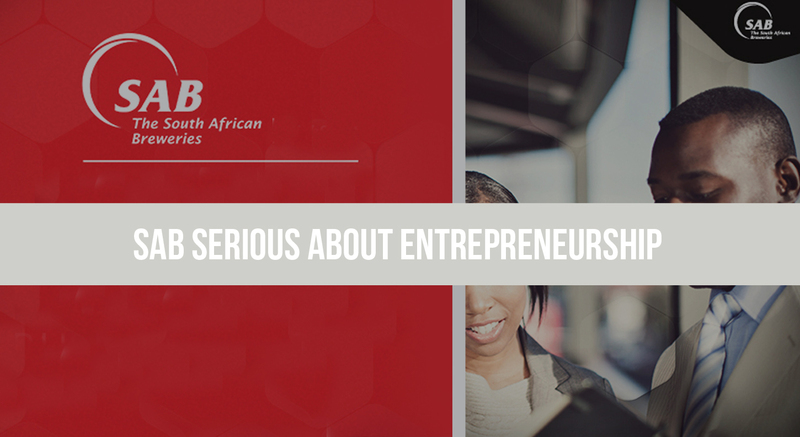 The SAB Entrepreneurship Programmes will visit six cities across South Africa during a roadshow in the month of October. Details will be available on SAB’s social media platforms. The programme has been running since 1995 and focuses on youth owned businesses. It is focused on investing in youth entrepreneurs between the ages of 18 and 35. The SAB Foundation is an independent trust founded to benefit historically disadvantaged individuals and communities, primarily but not exclusively, through entrepreneurial development in South Africa. It is one of three beneficiaries of SAB’s BBBEE transaction, SAB Zenzele, established in 2010. Key beneficiary groups include women, youth, people in rural areas and people with disabilities. The long term vision underpinning the SAB Foundation is to ignite a culture of entrepreneurship and social innovation in South Africa as a source of economic growth and a primary source of innovation and job creation. The focus is on investing in entrepreneurs outside of the value chain and across the country with a particular emphasis on businesses outside major metropolitan areas. There are two offerings for entrepreneurs within the SAB Foundation – the Social Innovation Awards and Tholoana Enterprise Programme. The Social Innovation Awards invest in innovative business ideas that can solve social problems. This includes, but is not limited to energy, water, health, education, housing and food security. The Disability Empowerment Awards is a special category for innovation that benefits people with disabilities. The Tholoana Enterprise Programme is a two year business support and capital grant programme to assist micro and small enterprises to grow and create jobs. The SAB Thrive Fund is an Enterprise & Supplier Development (E&SD) Fund set up and funded by SAB to transform the company’s supplier base. The Fund has been established in partnership with the Awethu Project, a Black Private Equity Fund Manager and SMME investment company. The SAB Thrive Fund’s mandate is to invest in and transform SAB suppliers such that they become more representative of our country’s demographics. SAB Thrive Fund Investees benefit from 100% Black equity capital and business support. The key objective of SAB Accelerator is to grow SAB’s supply chain to be inclusive of black-owned, especially black women-owned businesses. To achieve this an incubator consisting of 10 business coaches and 10 engineers, who are dedicated to growing these suppliers, has been created. SAB Accelerator will partner with the company’s suppliers and provide coaching and technical expertise, which in turn will help them understand the SAB landscape, its value chain and integrate them into our business. Simply put, SAB Accelerator is a team of people who are dedicated to help black-owned suppliers improve and grow their businesses and in doing so, create much needed jobs. SAB and AB InBev Africa have committed to establishing thriving barley, hops, maize and malt industries in South Africa that strengthen rural employment and job creation, accelerate the development of emerging farmers and enable SA to become a net exporter of hops and malt by 2021. In addition, SA’s technological and innovation base will be strengthened to improve the productivity of emerging and commercial farmers and create new business opportunities. The company will invest R610-million during this period in developing the capacity of new emerging and commercial farmers and increase the amount of local barley that is malted. The strategic intent is to create at least 2 600 new farming jobs in SA. I am staying in the rural area at UMIMKHULU I want information about how agriculture through SAB can improve to our community .I am interested in farming. We are 2women 1 man black owned registered business our focus is food and environmental factors we really need assistance in training and funding,how do we go about to apply please. New Direction Cleaning & Projects. Good day,my name is Patrick Mokoka from moses kotane municipality,I am an emerging farmer supplying eggs , live and frozen chickens , vegetables and cattles in small margin.I am asking for more information on accessing the funding so I can grow business and job creation. Hello there, i had just find out about your kickstart to help people in busines ententity but my concern is if i am at early 40″s i can not get help from you over what i want to innovate? Will there be any chance for me to apply for incubation and to be developed by your by your initiation in business development? I am intrested in starting my own business but i need funding to buy equipment and i really think my business is essential and could generate profits. all i need is funding and a mentor so i too can kick start my business.